Moving a piano is not an easy task. However, our skilled piano movers NJ are here to help you. Our company has years of experience with moving homes, offices and delicate instrument like pianos. Without professional help, it’s very hard to relocate a piano. There is always a risk of getting injured. Whether you need to move locally or long distance, our reliable movers in New Jersey will help you make a moving plan. Our movers are trained to work in different conditions and handle any moving situation. Contact us and find out more about our moving services in New Jersey. If you want to relocate your instrument overseas, we can guarantee its safety. If we move your piano, temperature changes will not affect your piano’s sound, so it will keep its value. Also, without a professional moving truck, the piano can’t be secure during the move. For your piano relocation, our movers will give you the best price for the deal we make. Ask our movers for the estimate of the moving cost. You can also check our online moving cost calculator. 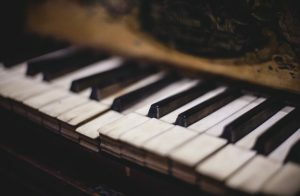 Why should you hire piano movers NJ? Transportation of this instrument implies securing and wrapping it. Our movers can guarantee for its safety. Moving a piano is a very delicate job. Not only is the instrument heavy and bulky, but it’s easy to damage it during the transportation. 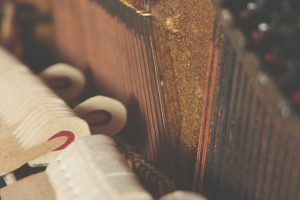 Any small scrapes can cause the sound to change, so your piano could lose its value. Also, transportation of this instrument implies securing and wrapping it. This way a piano will be able to withstand temperature changes and all the movements and still remain untacked. If you are moving your home, let the professionals take care of the piano relocation. You can avoid the stress and think about settling down in your new home. Many people try to move their piano by themselves. This is not always a good idea, considering the size of the instrument. 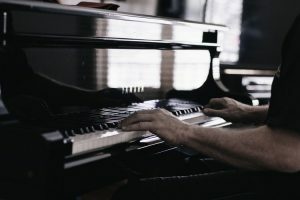 There are many possible injuries that piano moving can cause. Unless, of course, you are a professional piano mover. To avoid any kind of injury and to keep your instrument safe, our piano movers NJ use special tools an equipment for its relocation. Also, they are trained to do this kind of job and they have years of experience in piano moving. All you have to do is call us and we’ll let you know more about our piano moving services. To avoid all the complications while transporting your piano, consider hiring our piano movers NJ. We will help you relocate an upright or the big grand piano. Our movers will help you make a moving plan and give you the estimate of the moving cost. Whether you are moving your business or your home piano, we are there to help. Our commercial movers New Jersey can help you find safe storage units NJ for your piano. Our piano movers are trained to do this kind of job and they have years of experience in piano moving. How much will the piano moving cost? Considering how fragile a piano is, hiring professional movers NJ definitely pays off. Our company’s goal is to keep our customers satisfied so they want to move with us again. If you are moving on a budget, we will give you the estimate of the moving cost. This way you can plan your finances and avoid the moving stress. The size of your piano. For example, moving an upright piano is way easier than moving the grand one. If you are moving on a budget, we will give you the estimate of the moving cost. Professional piano moving will pay off in the end. How do our movers move your piano? When you hire our piano movers NJ, we will make sure to discuss all the relocation details with you. If you need to move as soon as possible, our last minute movers in NJ are there to help. We have years of experience, and we specialize in moving bulky and delicate items. Your piano will be safe during the transportation if you hire us for the move. Our piano movers NJ will make sure to lead you through the moving process. Also, we can guarantee not to damage it during the transportation. Before relocating a piano, we usually schedule a meeting with our client. Inspecting the moving situation is very important to us. We want to hear all of your wishes so your piano move goes as smooth as possible. 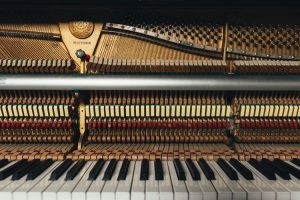 If you are worried about the security of the instrument, our piano movers NJ will make sure to lead you through the moving process. Also, we will discuss the moving plan with you, which includes the number of workers needed for the job. It usually takes at least two workers to transport it. During the piano moving process, our company uses professional and fully equipped moving trucks. Before we relocate your piano, the truck is already set for maximum security of the instrument. Most of the pianos can’t be disassembled to pieces. That’s why we have to wrap it in special materials and protect it. After wrapping, our piano movers NJ will secure the instrument with straps and pads so it stays in place during the transportation. The carrying of the piano is a delicate process so we use professional, sturdy equipment to slide it on our dollies. This way we can guarantee not to damage it.